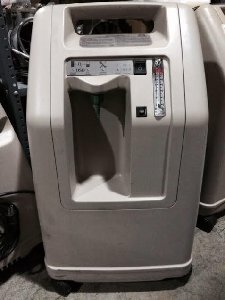 Devilbiss 515DS 5 Liter Oxygen Concentrator for sale. "AS IS". Each Unit is within Manufacturer Specifications, and each Unit is putting out 92+ % at 5 LPM. Hours of operation vary per unit.